In this weekly article we will be focusing solely on the “Bankers”. Now, whilst no bet is ever guaranteed the following selections are those which we would expect to land a very high perentage of the time and are great for bumping up the price of your accumulator. These bets are generally fairly short in odds, but we’re confident that they still offer a good level of value and they’re perfect as accumulator boosters. Please note that whilst these are our best bets of the weekend, there is no such thing as a guaranteed bet so please remember to gamble responsibly and stay in control. We have some responsible gambling tips on our website so check them out. As you can see both teams have scored in 5 of their last 6 head to head meetings (83%). 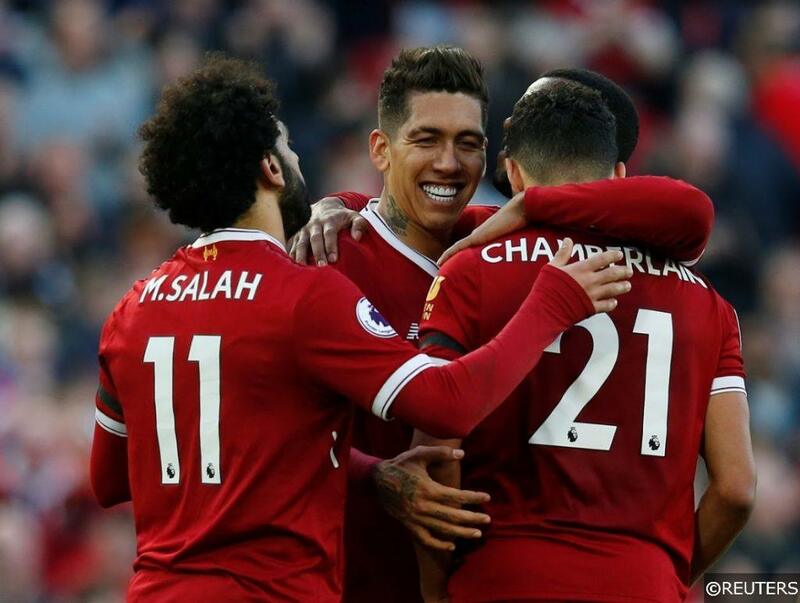 Both Liverpool and Tottenham have scored 9 goals each this season after just 4 games, and they both reside in the top five for expected goals. The chances are that we’ll see this continuing on Saturday with another entertaining showing. 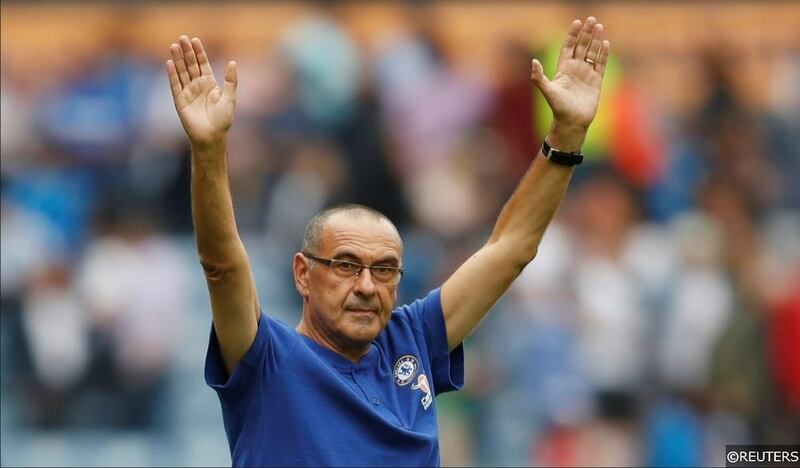 There was valid cause for concern when Maurizio Sarri took the helm at Chelsea but the Italian has settled in well at Stamford Bridge with players and fans alike seemingly buying into his philosophy. They have kicked off the Premier League season with 4 wins out of 4 scoring an impressive 10 goals in the process. As you can see they kept a clean sheet against 5 of the bottom 6 teams at home last season and that likely to be where Cardiff will finish this season. They have struggled to get into games and do look like they lack the firepower and quality against a well organised Chelsea defence. The fact that Neil Warnock’s side have failed to find the net in three of their four Premier League outings and have registered a meagre five shots on target this term, so them breaching Chelsea’s defence looks unlikely. 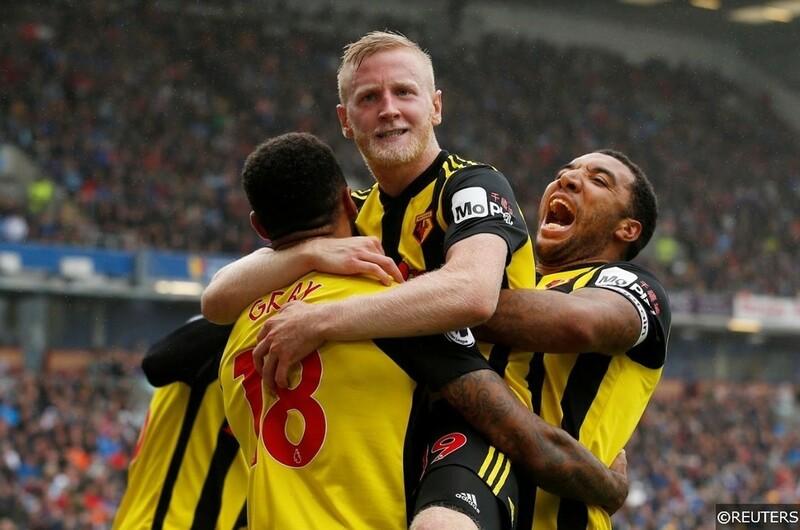 Watford head into this weekends game against Manchester United in spectacular form, The Hornets are enjoying their best ever start to a Premier League season having won all 4 of their opening games scoring 2 or more in all of them. Manchester United, on the other hand, have struggled. After beating Leicester City on the opening day they slipped to successive defeats to Brighton and Tottenham before picking up 3 points away at a struggling Burnley side. Whilst we can discount the last three with the games being so long ago, we can take particular attention to the most recent three meetings at Vicarage Road. Watford have scored in all 3 games, netting 2 or more in 2 of those. With Manchester United conceding 3 at Brighton and against Spurs, we can see the in form Watford getting on the scoresheet here. 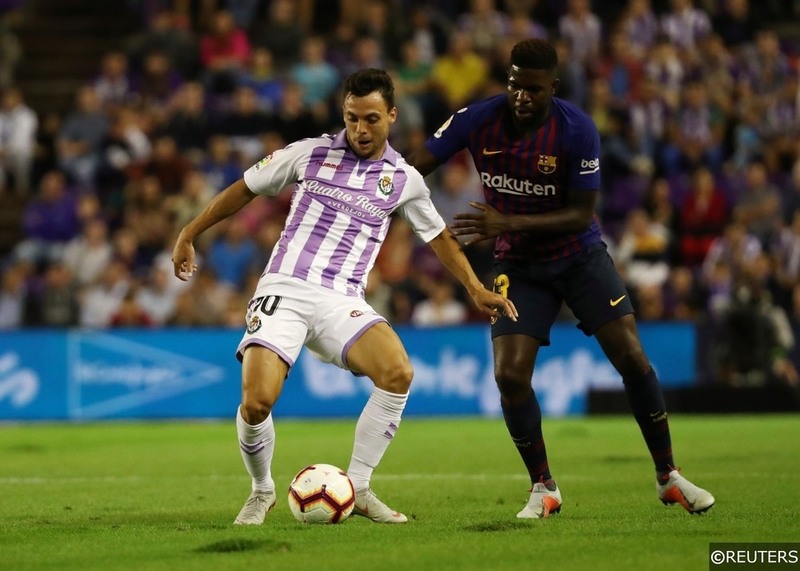 Real Valladolid have started life in La Liga admirably, picking up two points from three games having played Getafe (a), Barcelona (h) and Girona (a) so far this season. The most notable thing we can take from these games is how well organised they have been in defence. They gave up just 0.64 xG away at Girona, 1.15 xG at home to Barcelona and 1.35 xG at Getafe. Here they face an Alaves side who don’t see many goals on their travels against the so-called weaker sides in the division. Last season they saw 3 or more goals in just 3 of their 9 away games against sides in the bottom half, with 2 of those coming against Las Palmas and Malaga sides that conceded 74 and 61 goals respectively. Despite limiting their opponents to few chances, Valladolid haven’t been creating either. They have created just 0.04 xG, 0.57 xG and 0.94 xG in their three games so far. With little likely to change here we see this game being a dull low scoring affair and Under 2.5 goals looks just the ticket here. Heerenveen and Heracles meet on Sunday afternoon in what promises to be a goal filled game. Heerenveen have scored 8 and conceded 9 in their opening 4 games, whilst Heracles have scored 8 and conceded 10 in their opening 4 league fixtures. Both Teams to Score has landed in 4/4 Heerenveen games and 3/4 Heracles games so far this season. That yields a huge average of 4.375 goals per game over both teams’ fixtures, so the signs are already promising. When these two teams clash there is always goals, they have played each other 26 times and have never had a 0-0 draw. In fact just 4 of their 26 meetings have seen less than 2 goals scored. Both Teams to Score has landed in 20/26 meetings (77%). We see a repeat of that here again on Sunday with goals being the order of the day. Categories: Betting Odds, Betting Strategy, Blog, Football, Free Tips, and Premier League. Tags: Banker, betting tips, English Premier League, football tips, and premier league betting tips. League: England Premier League and Spanish La Liga. Sports: Football.